Or, donuts…if you prefer it that way. Whichever way you like, these are amazingly good. They quite possibly belong atop my ease/deliciousness chart. Whenever I make something, I mentally rate it on a scale of how simple or difficult the recipe is versus how delicious the food turns out. No, I’m not OCD enough to have an actual spreadsheet or anything like that. It’s just a running filing system in my brain. If something is incredibly good, but takes a whole lot of effort it becomes a special occasion kind of treat or meal. Something can taste amazing, but if it requires three hours in the kitchen, I won’t make it often…no matter how delectable it is. Then there are the magical things that are impossibly easy and mind blowingly delicious. 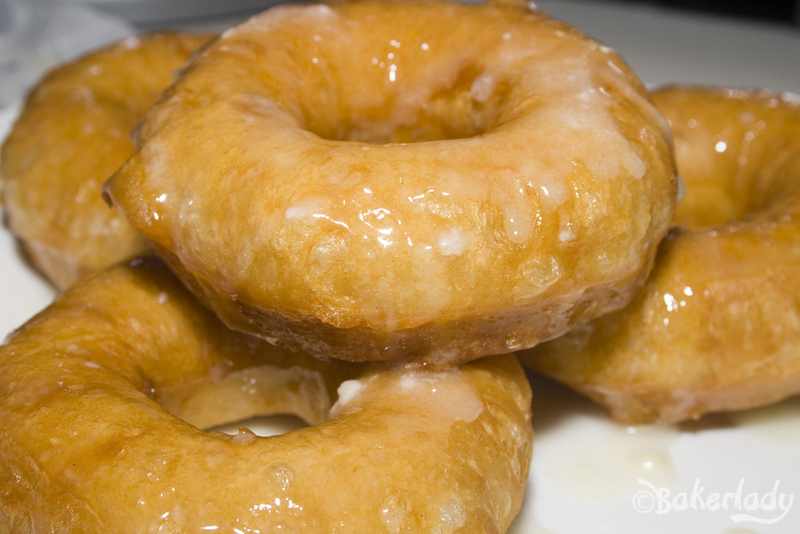 Like these light and sweet, melt in your mouth doughnuts. I could make these every single day. And never grow tired of them. Except, then I’d gain about 200 pounds. It would almost be worth it to get to eat these on a daily basis. Move aside Krispy Kreme. See ya’ Dunkin…I’m making my own doughnuts from now on. 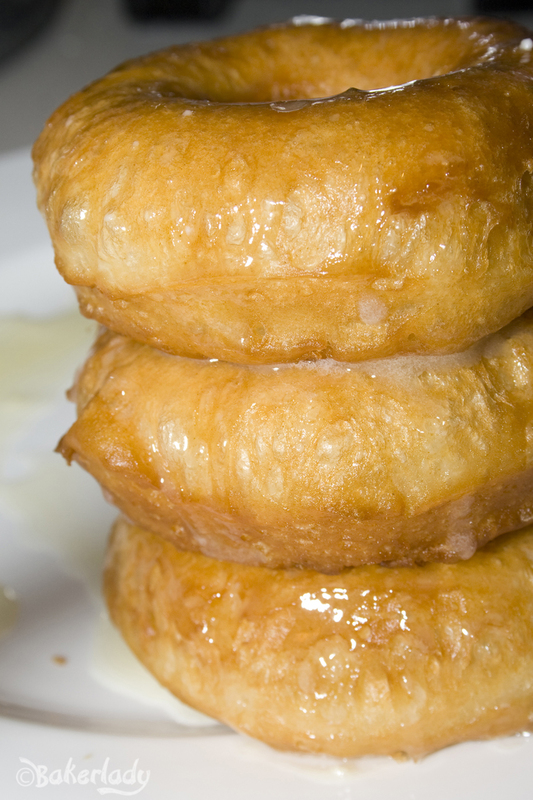 If you have a can of biscuits, you can make these doughnuts. Any kind except the flaky layers variety will work. Feel free to top them in any way you like, chocolate glaze, cinnamon & sugar, a little buttery glaze…the possibilities are endless! Yes, biscuit dough. No, they taste nothing like a biscuit. I made these with my daughter this morning. She loves helping me in the kitchen, and she’s a lovely hand model. Set a pan of vegetable oil (about 1/2 inch of it) on medium heat. 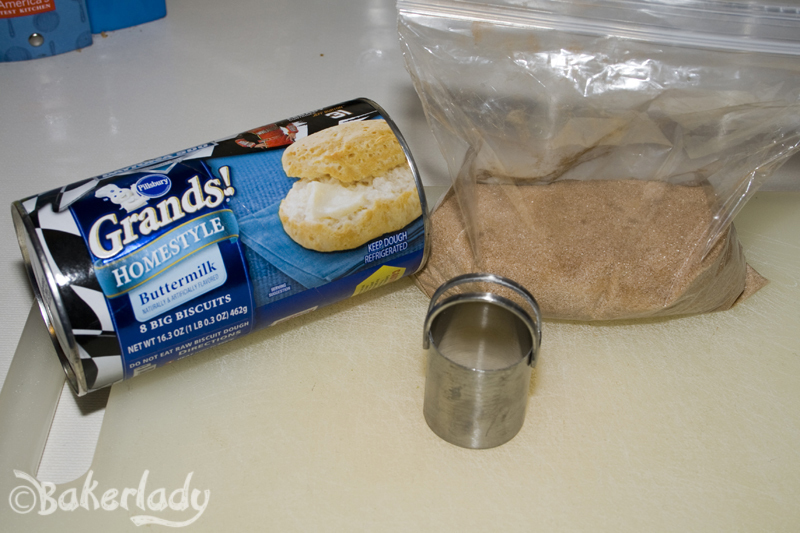 While the oil heats up, separate the biscuits and cut a circle out of the middle. 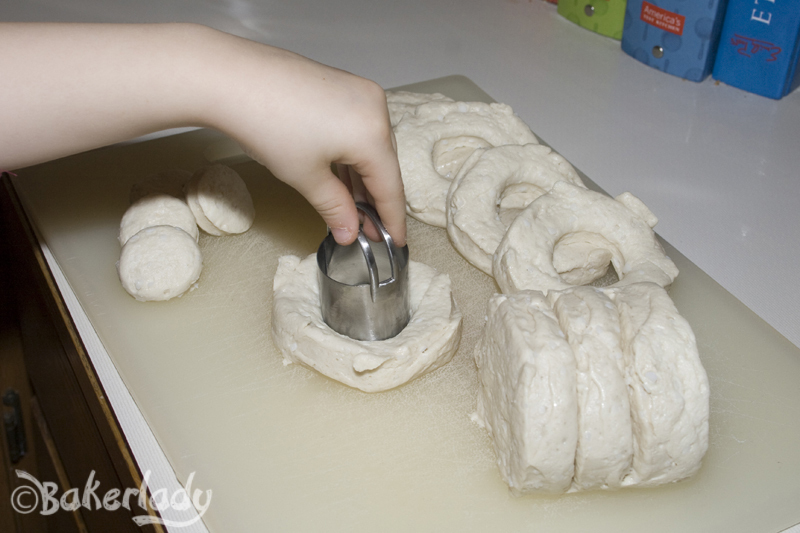 I have a fancy tiny biscuit cutter, but you can use a water/soda bottle cap as a cutter too. Keep the little circles for doughnut holes! I sacrifice a doughnut hole to the oil to verify it’s ready. Don’t want to waste an entire doughnut. 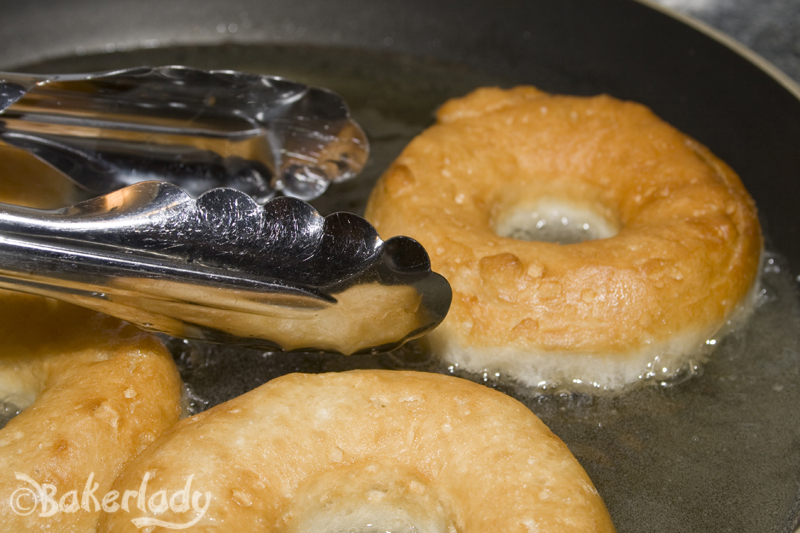 If you put the oil on, then cut out the biscuit centers – by the time you’re done, the oil should be ready. 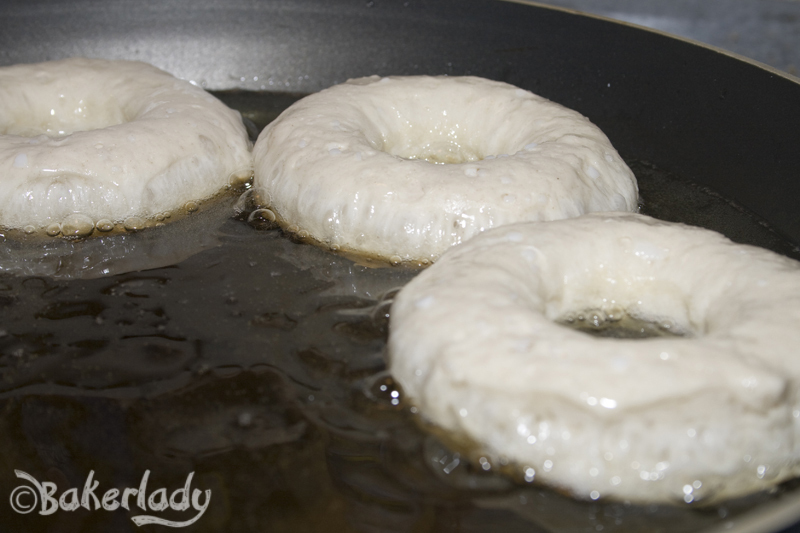 Put the doughnuts into the oil and let them sizzle away for a couple of minutes. When they are golden on the bottom, flip them over and fry up the other side. Remove to a paper-towel lined plate to cool slightly. I decided to do two varieties this morning. Simple glazed as well as cinnamon sugar. For the glaze I melted little butter, stirred in some powdered sugar and thinned it out with milk. 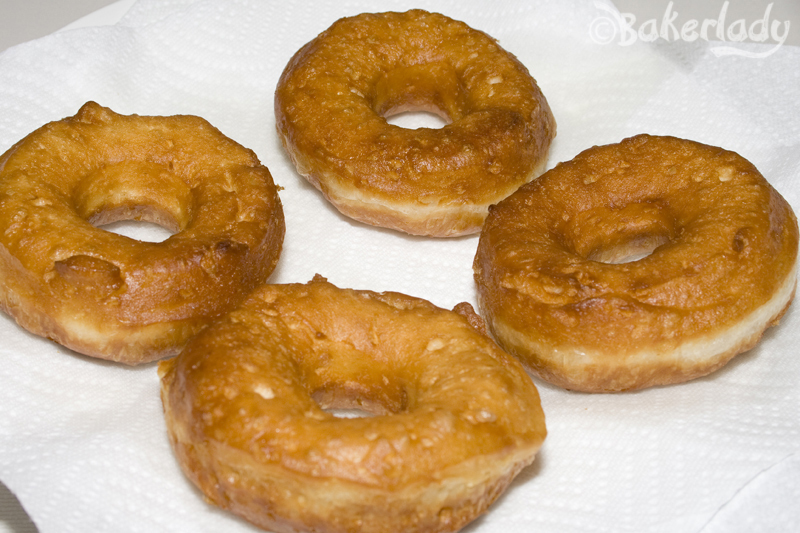 Dip both sides of the slightly cooled (just enough that you don’t burn yourself picking them up) doughnuts in the glaze. Yum yum yum yum. 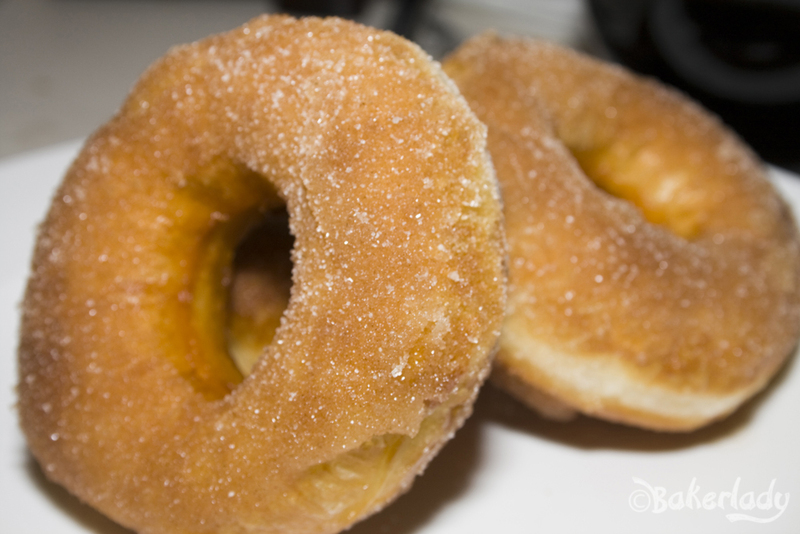 For the cinnamon sugar doughnuts I melted some more butter and put together some cinnamon and sugar in a second bowl. 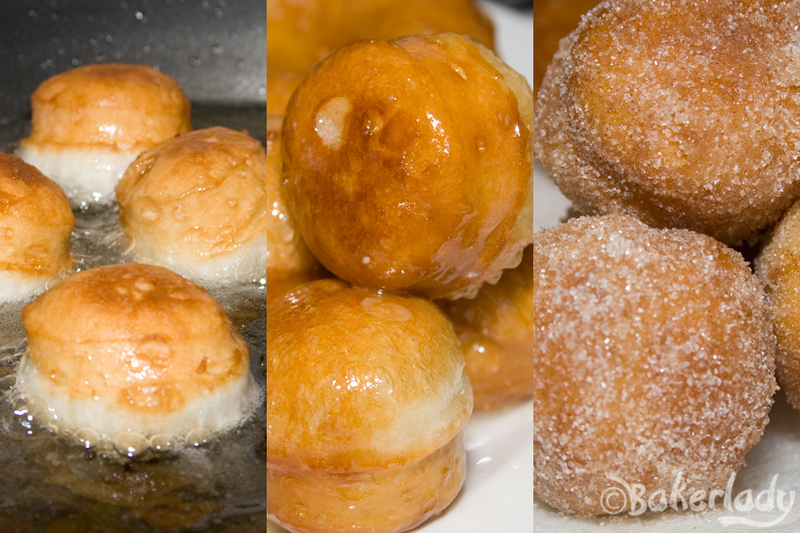 Dipped the doughnut in butter, then in the cinnamon sugar and repeated for the other side. Don’t forget the doughnut holes!! 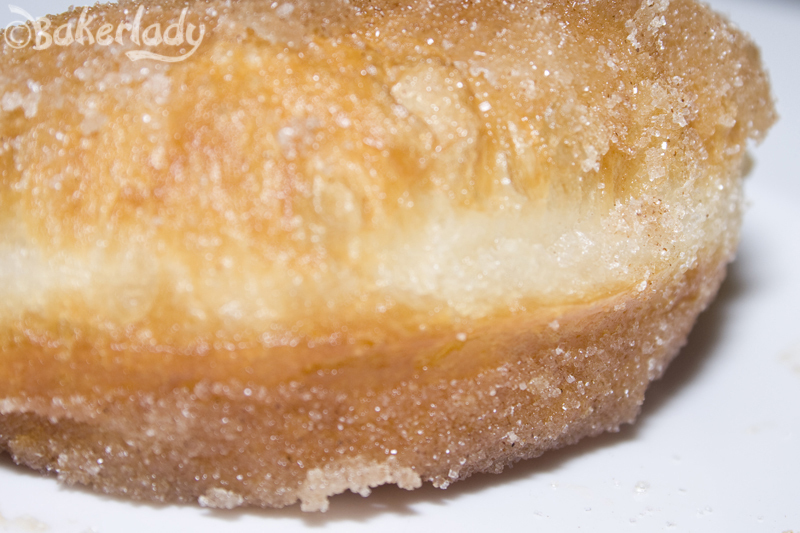 My favorite part of any doughnut is the pale line that runs in the middle…right where the two sides meet. Mmmmm. Delicious. Like I said, I could make/eat these every day. They are simply divine. Heat 1/2 inch of vegetable oil in a large skillet over medium heat. In a shallow bowl, stir together the ground cinnamon and sugar and set aside. In another bowl, melt 3 tablespoons butter. In a small bowl, whisk together 1/2 cup of confectioners’ sugar, 2 tablespoons of milk and 1 tablespoon melted butter, set aside. This is the glaze. Lay out the biscuits on a cutting board and with a 1 1/2-inch round cookie or biscuit cutter, cut out a hole from the middle of each biscuit. Fry them in the oil until golden and then flip with tongs to fry the other side. You can even fry the donut holes. Drain on paper towels and then dip in butter and toss in the cinnamon-sugar or glaze. These were soooo delicious and ridiculously easy to make. Loved them! Thanks. Awesome! Gonna try these with my grandsons! Thanks so much for the recipe! These are the best donuts I have had in a long time! They are so delicious and I can’t wait to share them.